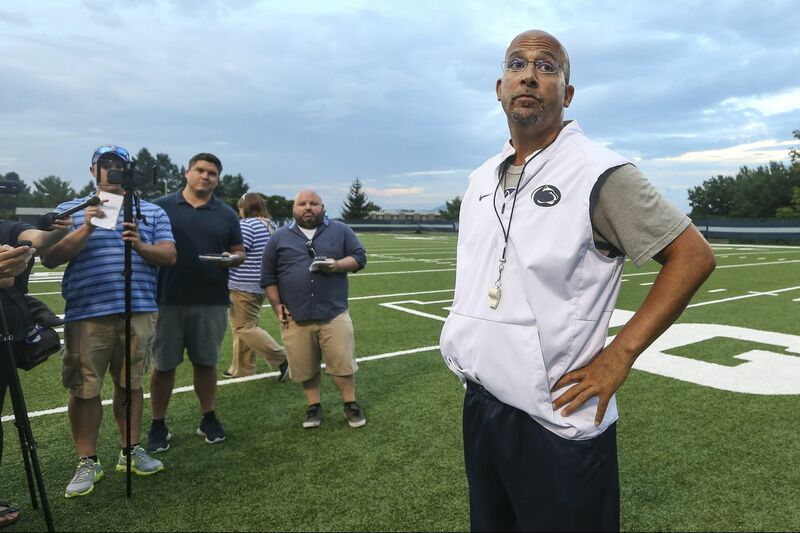 Penn State head coach James Franklin lost an offensive line recruit Friday when Baltimore product Zachary Franks announced that he committed to Northwestern. Eight days after announcing he had given an oral commitment to Penn State, offensive lineman Zachary Franks of Baltimore said Friday on Twitter that he will be attending Northwestern instead. "After lots of deep thoughts and reflection with my closest friends and family," the 6-foot-6, 280-pound Franks wrote, "I have decided that I will be attending @NUFBFamily because it's the best fit for me. Excited to have a great senior year before I get to Evanston!!" On Aug. 2, Franks had gone on Twitter to announce he had selected Penn State over his other three finalists – Northwestern, Rutgers and Duke. Franks, who attends the Gilman School, is rated three stars by Rivals and 247Sports. He is ranked as the No. 13 prospect in Maryland by Rivals and No. 16 by 247Sports. Losing Franks means Penn State now has three offensive linemen who have committed to the class of 2019.